PR -Samoa Events kicks off 2017 this week with two popular events, the Falefa Falls Fun Run on Saturday and the Magik FM People’s Weekly Run starting on Wednesday. The Falefa run is the opening weekend event of the year and also the last event of the year in November. Falefa this week offers three distances for runners and walkers of all ages. There is the 10km race and 6km distances for serious runners, walkers can take on the 4km distance. The course is an out and back course on the stunning winding road that overlooks Falefa Bay to the pocket villages of Sauano and Saletele at the foot of Mt Fao guardian of the East. The run does not go that far, it turns around at the 5km mark for the longer race with Fao in full view. Runners in the 3km distance will turn around 2kms earlier just at the tip of the Peninsula in view of the rising sun and Fagaloa Bay to the north east. The visual feast of both bays from elevation is calming and therapeutic. It is spectacular. You should consider this event just for the views alone, never mind the health benefits of exercise. Running this course is pure pleasure. Walking it is quite easy too. Parents and prams are regulars in the 4km distance. The other great joy of this course is the fact it is almost traffic free, you might encounter two to three cars in the whole run. The road itself is sealed in most parts. 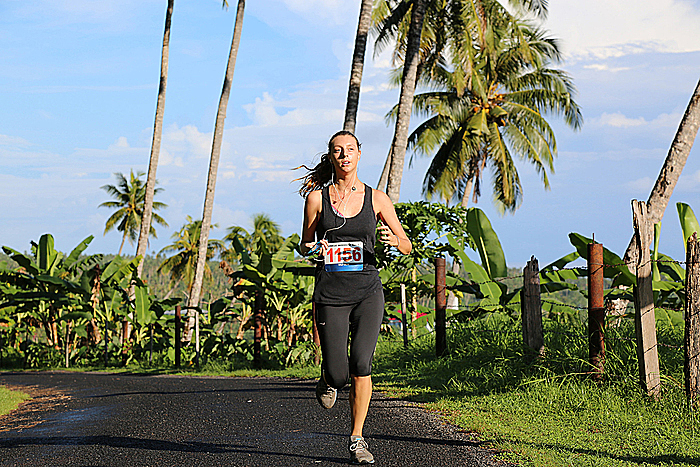 Samoa Events this year is offering over 700km of racing in its running programme that includes Savaii Marathon, Lalomanu 50km Ultra & Half Marathon, the Perimeter Relay and the regular local events such as the King of Vaea and the Anzac Challenge. The total includes the popular mid-week Magik FM People’s Run at Robert Louis Stevenson museum which also starts this week on Wednesday. The Magik run has 13.5kms of total racing every week for 22 weeks of the year. One of the aims this year is to add one more trail run elsewhere in addition to the Mt Vaea based events (KOV & Anzac Challenge). 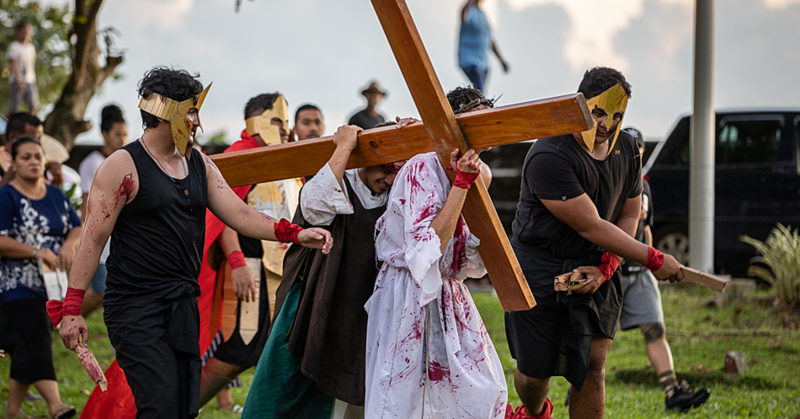 The Falefa Falls run is one of two longest running events for Samoa Events. The other is the ANZAC Challenge course. The aim for the first quarter in 2017 is to prepare runners for the Savaii Marathon on 8 April. That is now only two months away and those looking to run the full marathon or the Half have to get into shape fairly quickly. There will also be an open water swimming programme to prepare swimmers for the busy international open water swim season ahead. The first two swim events celebrate the national days of Australia (Jan 26th) and New Zealand (Feb 6th). The Falefa event starts at 8am for the 10km, the shorter distances start 20minutes later.